The underground rock scene features at a new Liverpool festival, Getintothis’ Helen Rabbitt tells us what’s in store for Spring. If there’s something strange in your neighbourhood, who you gonna call? WRONG Festival, of course. 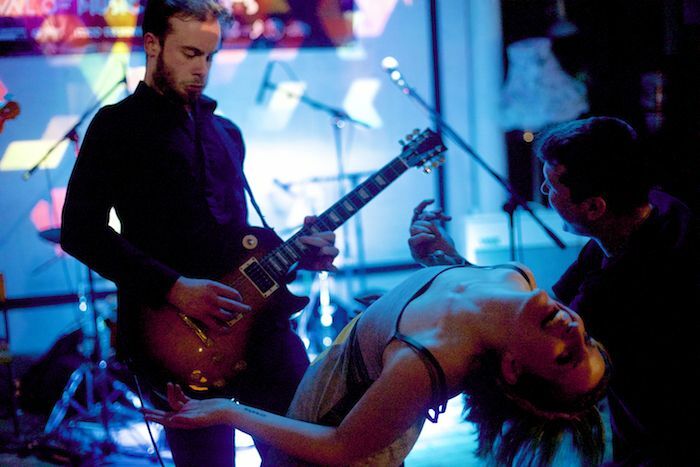 They have the perfect remedy of all varieties of weird and filthy rock to offer to the folk of Liverpool next April in the new creative hub of Liverpool’s Docklands. WRONG Festival is set to present the perfect Easter treat on Merseyside, an all-day event presented by Loner Noise taking place on Saturday, April 22 2017. Embracing and hyping up the avant-garde underground scene across the city region, Loner Noise promise “a festival for the Freakscene” for this day of rock goodness, an event determined to empower the scene and be sure to put some great, visceral and exciting bands on the map. Another exciting aspect of WRONG Festival’s debut is the triple-header of dockland venues this all-dayer will swallow up. The event’s home base will be the most recent creation from the team behind Liverpool’s dearly-departed Kazimier, the Invisible Wind Factory where visual aesthetics are bound to make eyes pop and recently brought Liverpool Music Week to a conclusion, sending its closing party off with a bang. Nautical themed North Shore Troubadour will be another innovative hotspot nestled in the North of the Docklands ready to show off its impeccable hosting skills for WRONG Festival to live music as it has already gained a reputation of being a venue with top quality sound, what more could a day of underground rock ask for? The third and final venue will be DROP the Dumbulls’ creative gallery, the perfect setup for an afterparty carrying the day into the late night/early dawn of a Spring Sunday morning. Across the three splendid venues, over 30 live bands will be on the agenda including the six announced in WRONG Festival’s first wave. Getintothis’ newly-adored The Wytches head up the debut announcement, with Nottingham’s Nirvana inspired extreme noise merchants HECK also heading for a Spring escape on Merseyside. 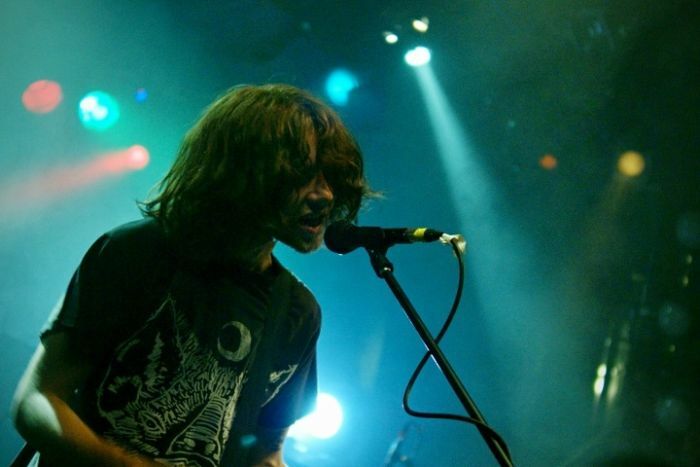 London’s noise-fuelled sludge metal survivors Part Chimp are also set to make an appearance. Departing soon on a European tour with fellow underground heroes Hey Colossus, Part Chimp have been on hiatus for several years. Alongside the parallel universe charms of The Cosmic Dead, blisteringly intense Leeds rockers Blacklisters and Liverpool’s loud-as-hell Elevant round out the lineup so far. Headliners are yet to be announced for the festival, but if the first wave of acts is anything to go by then anticipation should already be building towards whoever the organisers have picked. It is without a doubt that this day of rowdy rock will sell out in an instant so be sure to keep the edginess alive and bag your spot of seeing these bands before they shoot to stadium success. 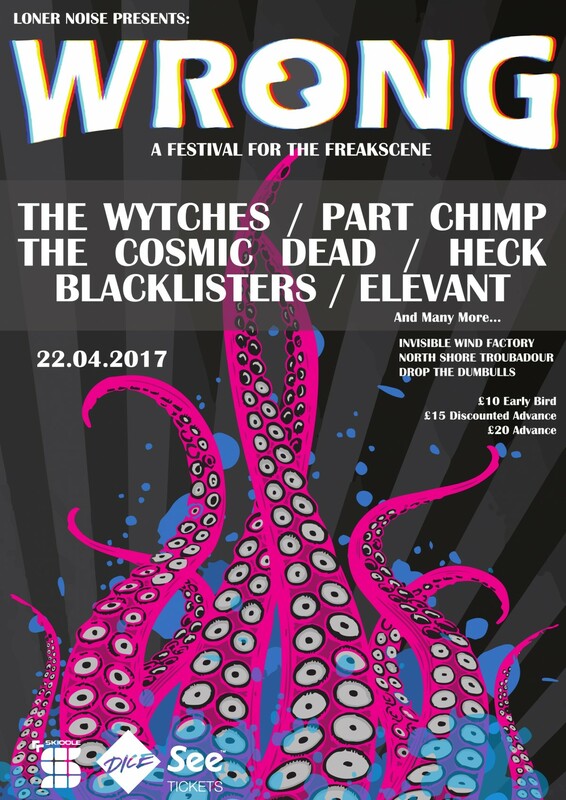 WRONG Festival takes place at North Liverpool Docklands on Saturday, April 22 2017. Tickets will go on sale at 9am on Friday, November 25 and available at See Tickets, Skiddle, and Dice FM.